Guy Walter believes the importance of putting people first in planning and designing built environments. For more than 25 years, he has worked in North America, the Middle East and Asia, advancing the business case for large-scale planning and urban design that is culturally, environmentally, economically and socially responsible. Sustainability plays a huge role in his design approach and he responds with solutions for communities in transition – helping them plan and build tomorrow’s livable cities. 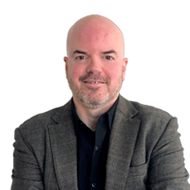 Part of the B+H Advance Strategy team in Seattle, Guy works with his clients to articulate a clear vision and strategy that responds to each development’s needs, with emphasis on integrating flexible and robust infrastructure and ecosystems. Drawn to explore the complex living systems of our built environments, Guy sees how we can formulate new possibilities for transformative neighbourhoods, mixed-use hubs, and TOD communities to create multi-faceted, experiential developments. Guy is dedicated to finding Smart City solutions that connect people first and remain resilient in the face of challenges that impact the future of our environment and everyone it sustains. For Guy, smarter solutions are holistic solutions with long-term economic and social capital returns. Guy offers his global experience to inspire local and regional solutions. Since joining B+H in 2008, he has brought along expertise to the design of sustainable water management systems and open space/landscape systems for healthcare, hospitality, residential, major mixed-use developments and new cities. Guy approaches every project with an integrated and collaborative approach to find buildable solutions for concepts, visions, and goals with the objective to break down barriers and bring people together from all backgrounds, experiences, and cultures. A member of the Surbana Jurong Group, B+H is a global design and consulting firm. At B+H, we believe in the power of design to transform spaces, communities, and economies. We combine strategic thinking, bold design and technology with the creative, human energy of an interdisciplinary and multigenerational team. Experts armed with tools and technology, we respond to every project’s unique context and push the bar on design through creative responses and continuous innovation.